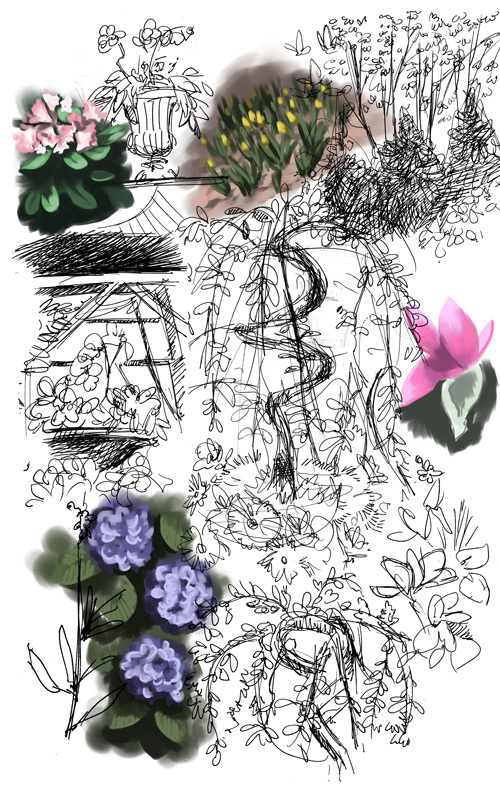 Sketches from the Macy's Flower Show. It was incredible, not only because of the color and landscaping skills, but the smell... fresh air : ). 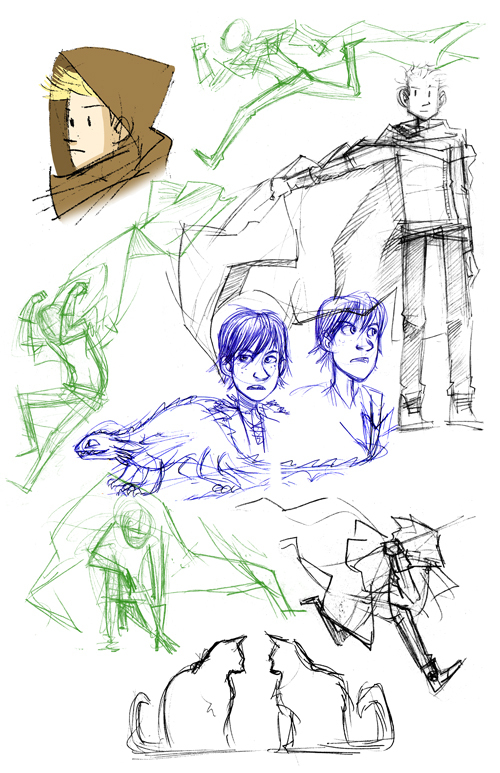 Assorted things, mostly Lawrence wearing a cape. Pseudo-fabric physics. 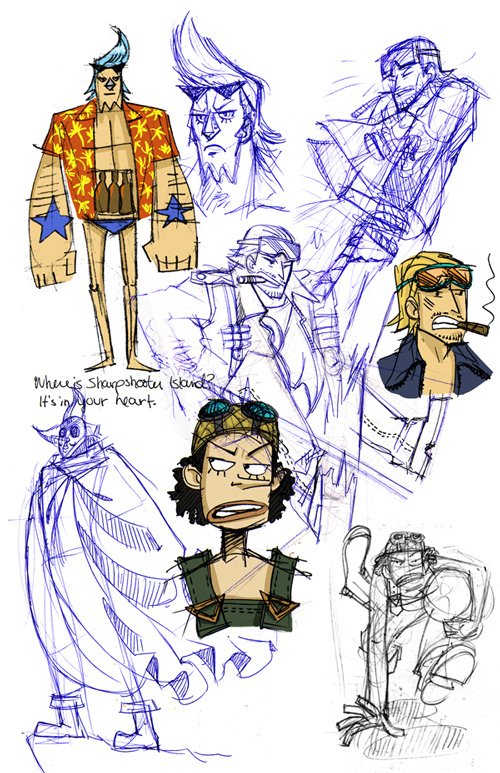 And then a bunch of One Piece sketches, from Water 7. Love these guys.